Since World War II, in nearly every crisis, the United States Marine Corps has deployed projection forces, with the ability to move ashore with sufficient sustainability for prolonged operations. These forces have been organized into Marine Air Ground Task Forces (MAGTF) a combination of air, ground, and support assets. MAGTFs are established for specific missions, or in anticipation of a wide range of possible missions. Combining air, ground, and logistic assets maximizes the combat power of each of the war fighting elements. MAGTFs have long provided the United States with a broad spectrum of response options when U.S. and allied interests have been threatened and in non-combat situations which require instant response to crisis. Selective, timely and credible commitment of air-ground units have, on many occasions, helped bring stability to a region and sent signals worldwide to aggressors that the United States is willing to defend its interests, and is able to do so with a significantly powerful force on extremely short notice. The MEU is the smallest of the MAGTFs and is comprised of about 2,200 Marines and Sailors. The MEU’s major elements are the Command Element (CE), the Ground Combat Element (GCE), the Aviation Combat Element (ACE), and the Logistics Combat Element (LCE). The CE is comprised of the commanding officer and supporting staff — about 200 Marines and Sailors. . It provides the command and coordination essential for effective planning and execution of operations and synchronizes the actions of each element within the MEU. The GCE, about 1,200 strong, is built around an infantry battalion and provides the over-land combat power for the MEU. Assets inherent within the standard infantry battalion include medium and heavy machine guns, mortars, combined anti-armor teams (CAAT) and scout snipers. While assigned to the MEU, the unit, designated “Battalion Landing Team,” is reinforced with light armored reconnaissance vehicles (LAV), tanks, artillery, combat engineers and assault amphibian vehicles (AAV). The ACE is a composite squadron that provides the MEU medium to heavy lift capability, assault support and close air support (CAS). 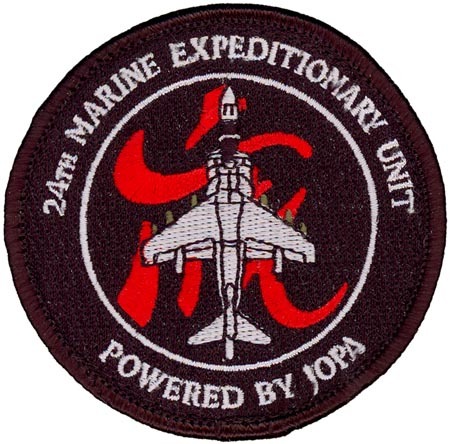 Although the aviation element carries the name of the Marine Medium Helicopter Squadron assigned to the MEU, its assets include CH-46E Sea Knight medium lift helicopters, CH-53E Super Stallion heavy lift helicopters, AH-1W Super Cobra helicopter gunships, UH-1N Huey utility helicopters and AV-8B Harrier jump jets. With a force strength of approximately 500, the ACE includes air traffic control, aircraft maintenance/support and aviation logistics/supply capabilities. About 300 Marines and Sailors of the LCE provide combat support such as supply; maintenance; transportation; explosive ordnance disposal; military police; water production and distribution; engineering; medical and dental services; fuel storage and distribution; and other services to the deployed MEU. The LCE gives the MEU the ability to support itself for 15 days in austere expeditionary environments.